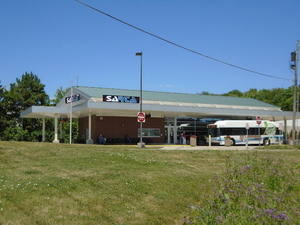 SARTA operates 34 fixed routes throughout Stark County and into Akron and Cleveland. We have four transit centers located in Alliance, Belden Village, Downtown Canton and Massillon. In addition to our fixed routes, we have our Proline and Medicaid Services. Our Proline Services are a curb to curb services for those with qualifying ADA disabilities. Our Medicaid Services provides transportation for those seeking Non-Emergency Transportation (NET), using Passport for Adult Day Services and those who have I/O and Level 1 waivers through the Stark County Department of Developmental Disabilities. SARTA also offers programs for our Veterans and Students as well as Travel Training and State of the Art Transit Technology. SARTA provides a multitude of services for everyone in the county included students, employees, seniors, individuals with disabilities, veterans and many more. Every SARTA bus has two (2) bike racks located on the front of the bus. Our goal is to ensure that Stark County residents including disabled individuals, seniors, veterans, commuters and students have access to a quality transportation system that is both reliable and affordable. Rider safety and security of our riders are a priority, please be courteous and follow the rules. SARTA & Greater Cleveland RTA Transfers SARTA and Greater Cleveland RTA will continue to honor any and all transfers presented by passengers wishing to board a SARTA bus at our Downtown Cleveland location or a Greater Cleveland bus. Canton Airport (CAK) – www. Will Sunday Service return? I can’t afford a pass, how can I get a free one? Can I make Proline Reservations more than 2 days in advance? Does SARTA run on major holidays? Do you have a lost and found? What if I lost something on the bus? How much does it cost to ride SARTA? Are all of the buses wheelchair accessible? Do all of the busses have bike racks? What are your office hours and location? How can I advertise on your buses? Where is my bus? How do I find a bus stop? Can I be notified about service changes? What programs does SARTA have for students? Where and when can I buy a pass? Can I buy a pass online? What senior, veteran, ADA or Medicare Programs does SARTA offer? What is SARTA planning for the future? 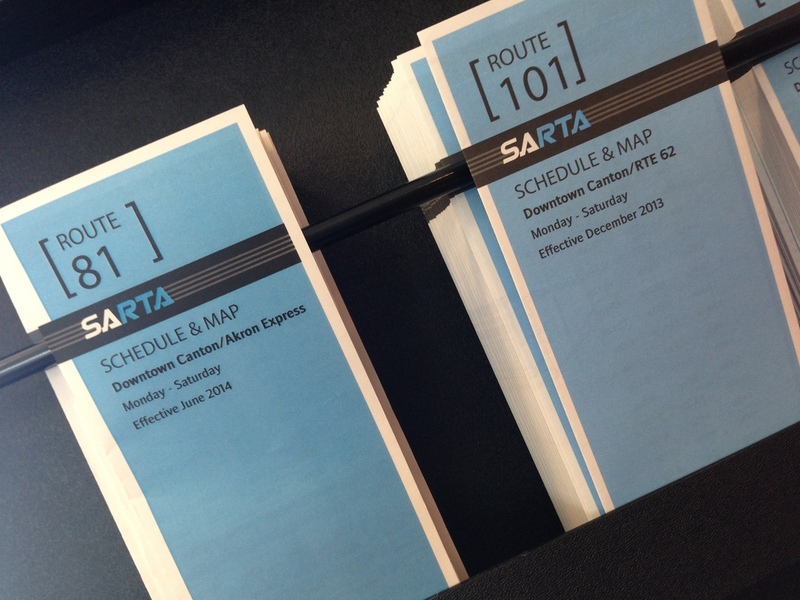 Where do SARTA riders go on the bus? What is the number for SARTA’s customer service line? Where do I get a schedule for my bus? How do I read a schedule? How late do SARTA buses run? If I need to take more than one bus to get where I’m going, do I need to pay each time I board? Will Sunday Service return?Possibly, the issue is the cost to operate on a Sunday. Lose something? If you left an item on the bus or at one of our transit centers, please call us at 330-477-2782.